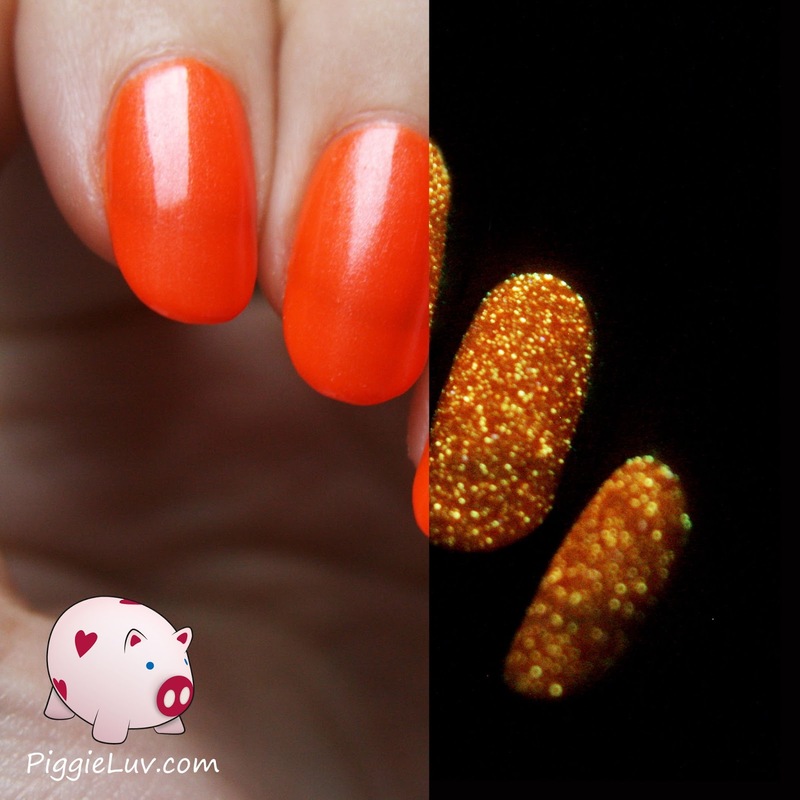 PiggieLuv: These swatches of the Gothic Gala Lacquers Rave collection set me a-glow! 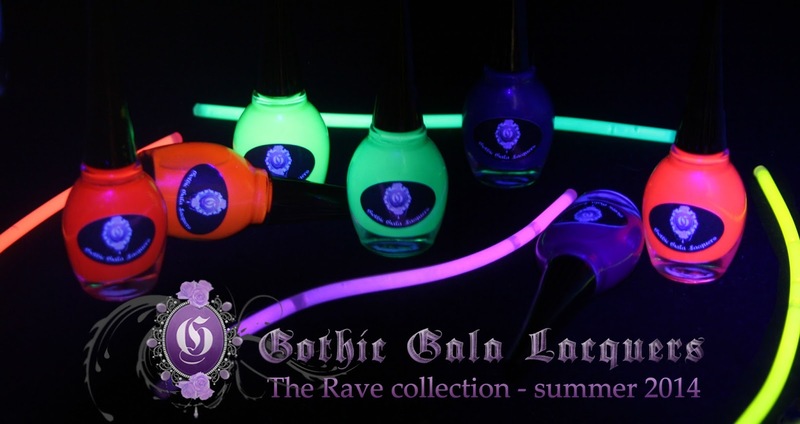 These swatches of the Gothic Gala Lacquers Rave collection set me a-glow! Heyyy my babes! By now you might know about my deep love and devotion for anything neon & glow in the dark... So when I was asked to swatch the Gothic Gala Lacquers Rave collection, I almost DIED I tell ya! They are absolute stunners and I had a blast working on these swatches & the review for you guys. Go, go have a look! Sooo yeah... neon & shimmer in the light, glow in the dark. Need I say more? Plus the fact that Gothic Gala Lacquers has managed to provide us with one of the best formulas around, making application all the easier due to the long caps and soft brushes that give the bottles their long feminine expression! Let's take a look at each of these! 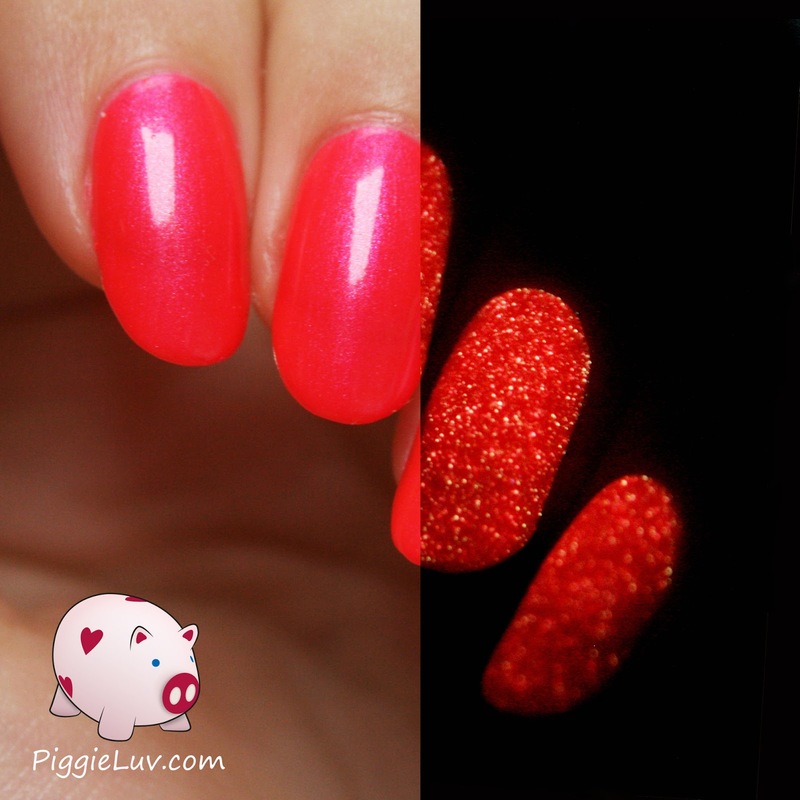 Has there ever been a more flashing neon pink polish? This one POPS, believe me! The color is a bright mix of red and magenta and the shimmer, ahhh the shimmer. It's just gorgeous! I have a rule for shimmers. I like it when the shimmer looks like an intrinsic part of the polish, something that is just meant to be there. 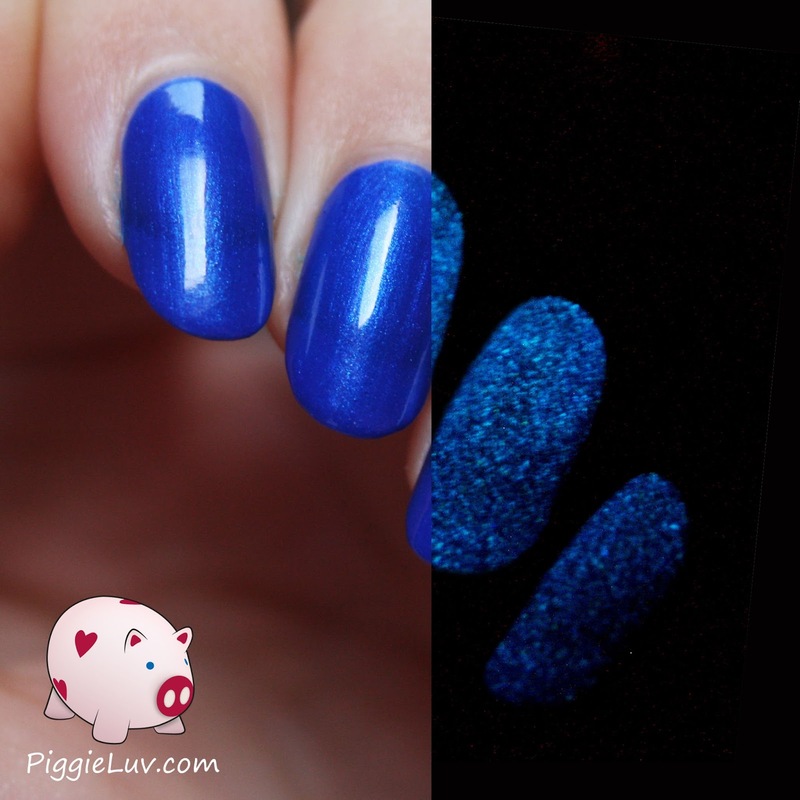 I don't like it when a shimmer has a contrasting color, like blue with a gold shimmer. Just, no. But these polishes nail it!!! 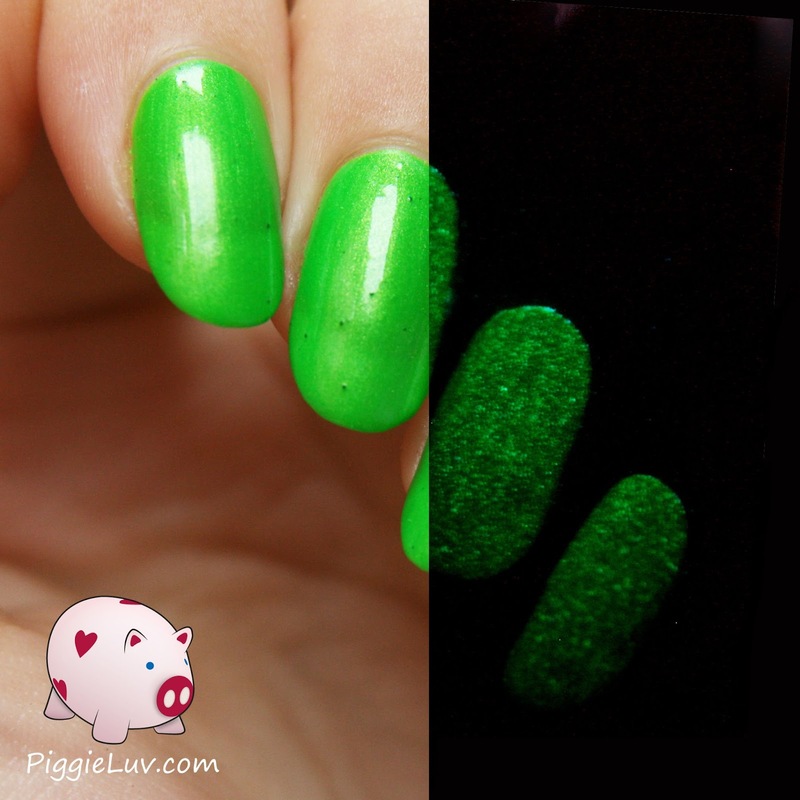 These polishes had a little bit of a tendency to bubble, but that might have been my habit of violently shaking glow in the dark polishes before usage, to get the glow pigment mixed in well. 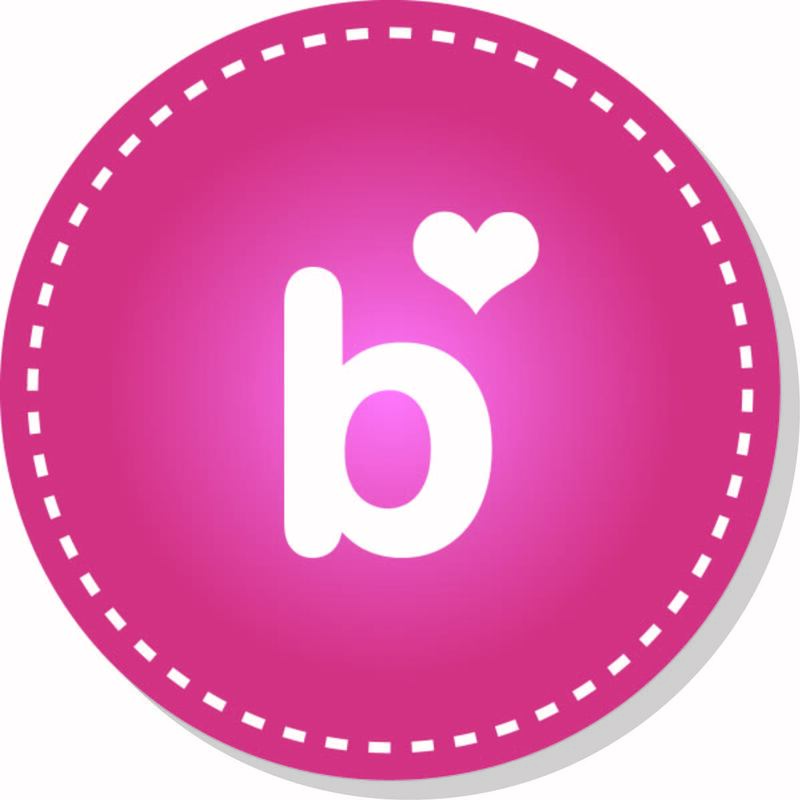 But should you find some bubbles, a tiny bit of nail polish thinner should fix this right up! This is three coats of Blushing Bodies and one top coat. I didn't use white undies for any of these, but can you imagine the color brightness if you would?! 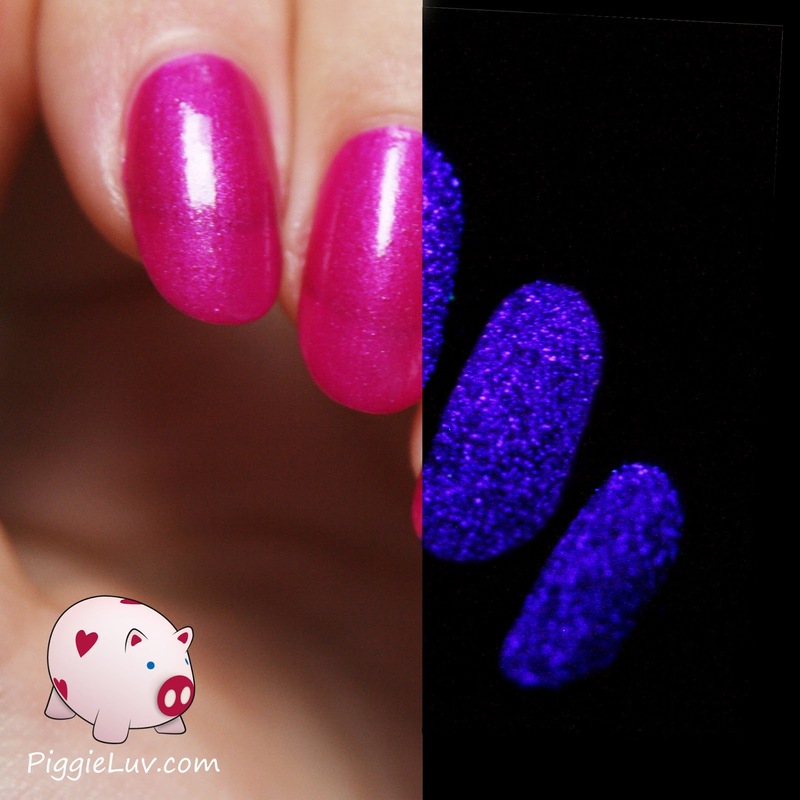 This gorgeousness is a pink leaning purple shimmer that glows violet in the dark. 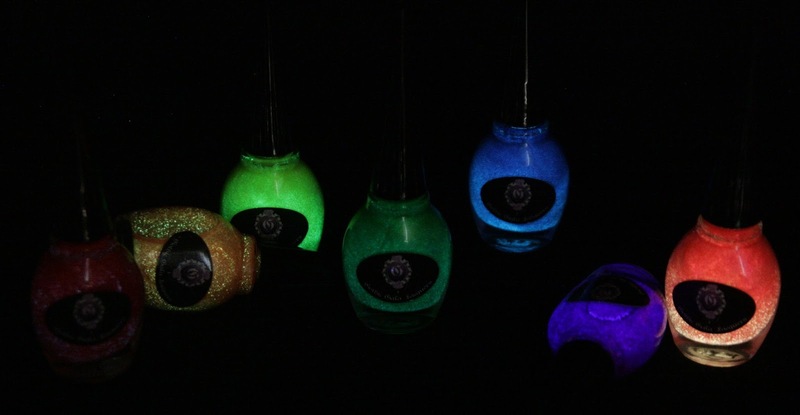 I LOVE how these polishes all glow differently in the dark! 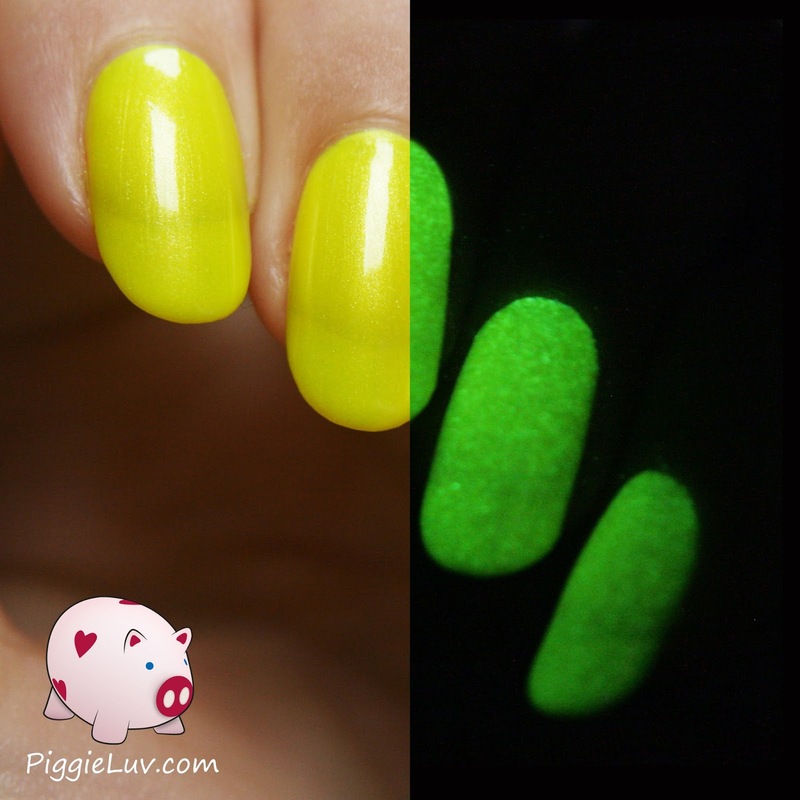 You will want to store your glow in the dark polishes in a place with minimum light exposure (i.e. a drawer, closed box or something similar) for the longest glow life of your polish. 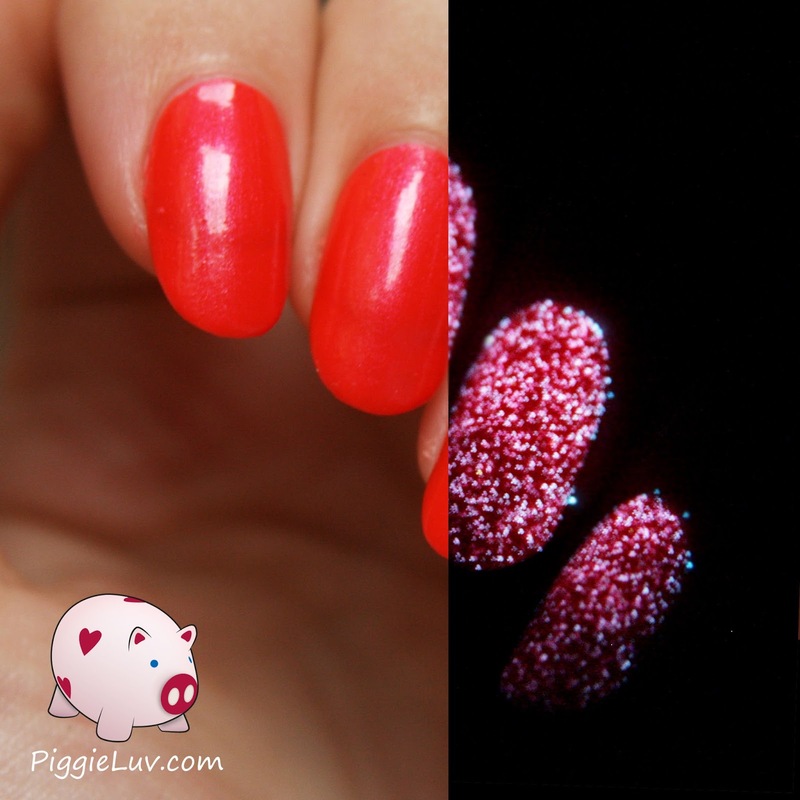 The irregularities you might be seeing in these photos aren't bubbles, they're bumps from the glow pigment. An extra coat of polish or top coat will eliminate this! In the mean time, LOOK at this shimmer. Can't you just drool over that? How's this for blue? The shimmer in this one is just too freaking perfect, and it reminds me of deep seas and dusk. You know, that moment when the street lights are coming on, but it's not really dark yet... I love that moment, that perfect in between time. That's what this polish represents for me! And the depth, ahhh the depth. When you think neon glow in the dark polish already had it all, Gothic Gala Lacquers goes and adds shimmer to it. Bringing it right that bit further that you didn't know it could go!!! The glow isn't as strong in S-extacy as it is in the other polishes of this collection. I think it has something to do with the darker colored pigment, glow polishes always perform better in a light, cool-colored base like white, blue, green and yellow. Overall orange, pink and red don't fare so well, which is what surprised me so much about these polishes, because they actually glow wonderfully! My bottle of Go Go Juice came with pigment clumps, which is what you're seeing in these swatches. I've spoken to Samantha about this and she has pulled this polish from the shop for now, I'm really sorry about the inconvenience, you guys. But it's for a good cause, because she's waiting on a shipment of liquid pigment and it should solve this problem perfectly. Watch this space because I'll update you when it's available again! EDIT: It's available NAO! Check out the shop to purchase your bottle of pigment clump free Go Go Juice! Yeap, pigment clumps. Now that we've established this fact, let's take a look at the color! 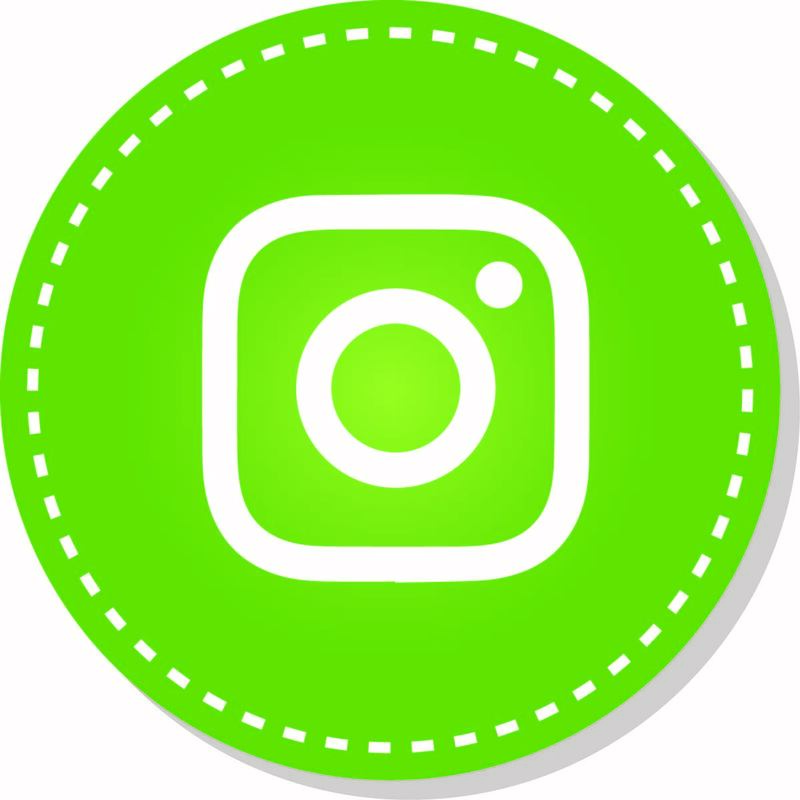 It's the perfect grassy neon green, and it's the shimmer again that takes it to the next level, you know? It's funny how some of these polishes have a speckled glow effect, while others get this smooth overall glow like you're seeing here. No clue what causes this! Maybe it's the particle size of the glow pigment??? This polish is a little bit more sheer so you're gonna need 3 - 4 coats to reach opacity. Or use a white undie, which I still have to try. Do me a favor, scroll back to the glow picture again. Yeah? Pretty, right?! This is such a bright glow! So gorgeous in the dark, I swear, you will want to see this with your own eyes. In your own bed, if you're a freak like me, haha! Also, our downstairs toilet doesn't have a window so I like to turn off the lights and admire the glow for a bit. It makes a visit to the toilet just that much more fun! Ahhh more citrus flavored candy! I'm not even kidding, this reminded me of orange SO strongly, it was like I was drinking Fanta! I used three coats for this result you're seeing here, and BOY these coats were easy! I did add a bit of nail polish thinner to avoid bubbles (my nemesis) but that meant I was free to shake, shake, shake to mix the glow pigment and still it didn't bubble! RASPBERRIES!!! Hmmm maybe I should dub this collction Summer Fruits in my head. My mind makes weird connections between food and polish, you know. One of these days, you might find me munching away on a super scrumptious looking brown polish, just because it reminded me of chocolate.... naaahhhhh don't do that, crazy lady! Anyways, this really does remind me of raspberries, the way the glow looks. At first I thought I had the wrong settings on my camera, but then I looked past the camera with my 'real life' eyes, and yes, it actually does look like this in the dark! I used three coats, three smooth coats, three dreamy coats. Did I mention I used three coats? Did I make you drool? You can get your hands on these beauties yourself on the Gothic Gala Lacquers Etsy website. 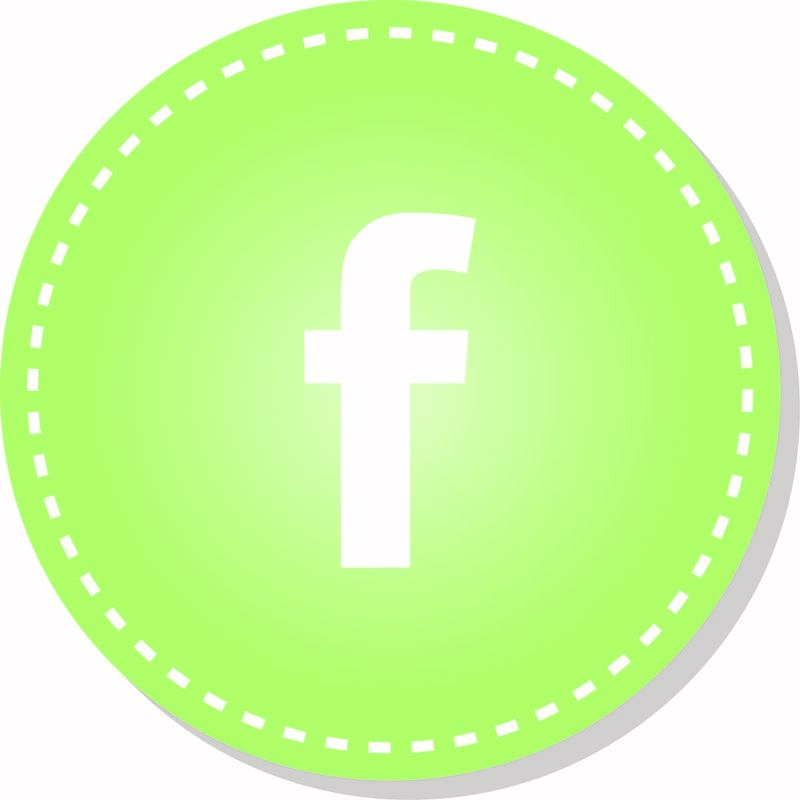 Also, be sure to check out her Facebook page and her Instagram profile! 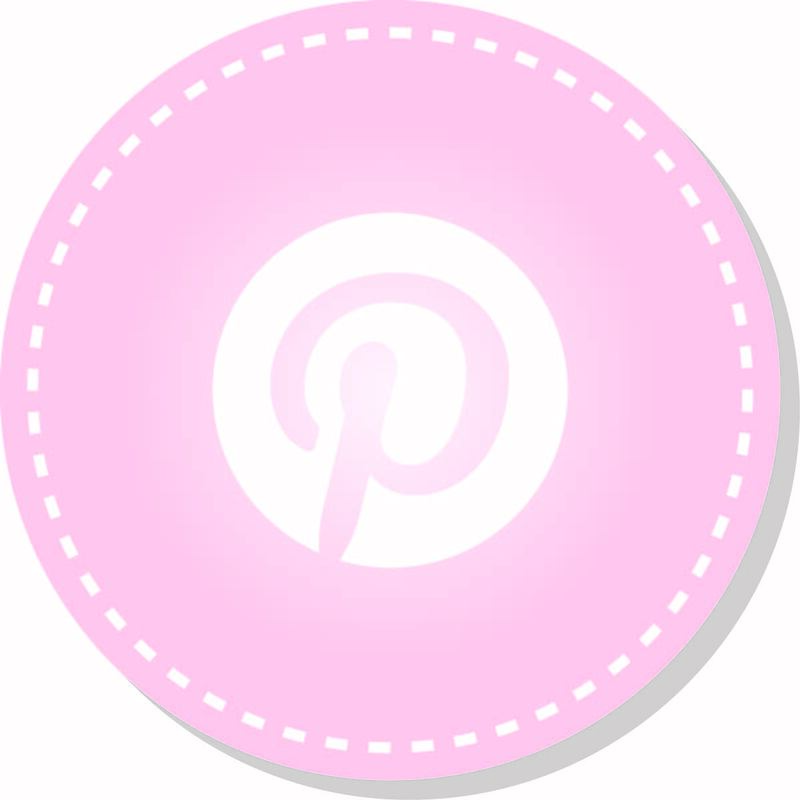 Thanks so much for reading and don't forget to share! I received the complete Gothic Gala Lacquers Rave collection as a press sample for an honest review. Opinions expressed are 100% my own and not influenced in any way other than the quality of the product itself.